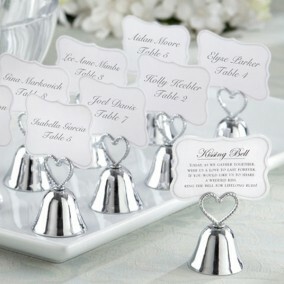 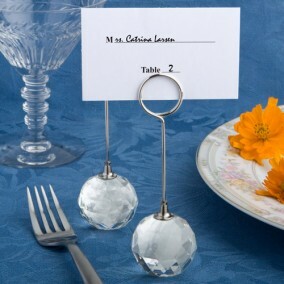 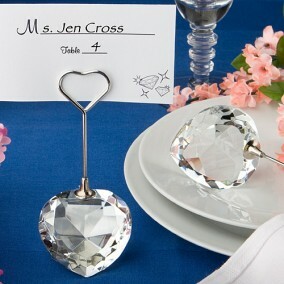 Place Card Holders "Crystal Heart" with matching place cards! 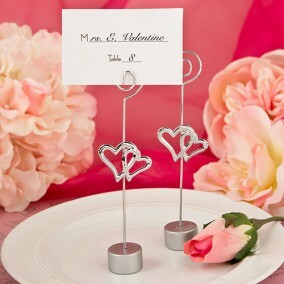 These sparkling heart shaped crystal beauties are sure to catch your guests' eyes and capture their hearts when they arrive at your event and find their seating assignments so lovingly displayed. 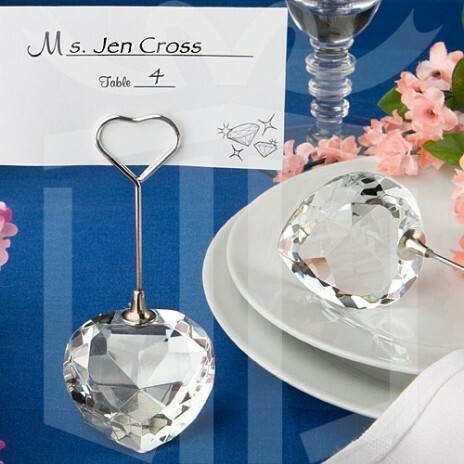 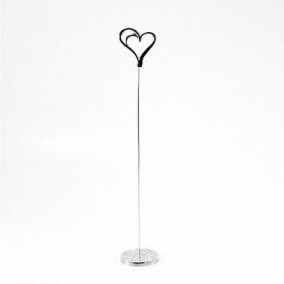 Each exclusive Glamour Diamond Collection place card holder measures 10.8 cm x 4.5 cm and features a glistening multifaceted heart shaped crystal glass base with a silver metal wire extending upward to form a double heart place card holder - also perfect for holding photos, notes and more. 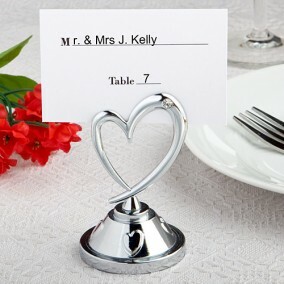 A winning choice for weddings, showers or any occasion where you want to show your guests some love, these heart design place card holders come bulk packaged in a poly bag and a blank placecard is included.